With 3-D printing, lab-grown organs and lifelike prosthetic limbs, science creeps ever nearer to replicating the parts and functions of the human body. But not pregnancy: Despite several attempts over the past 20 years, researchers have been largely unsuccessful at encouraging human gestation outside the womb, and important elements of the interaction between mother and fetus remain a profound mystery. Recently, however, scientists announced that they had created an artificial womb in which lambs born prematurely grew for a month. Human testing is not expected for three to five years, if it is done at all. But should an artificial womb succeed for premature infants, it could have far-reaching legal and ethical consequences. The term “artificial womb” evokes a scene from “Brave New World”: external artificial uteri capable of the entire gestation process, from implantation to delivery. But that’s not what the recent animal trial accomplished, nor was that its goal. Today, incubators sustain the life of a premature infant without continuing the gestation process. Dr. Alan Flake, a fetal surgeon at Children’s Hospital of Philadelphia, and his team used incubator technology to encourage continued development and growth in the premature lambs. Dr. Flake emphasized that the goal of their work was “physiologic support” — that is, to replicate conditions in the uterus as closely as possible, keeping more premature babies alive and able to develop in better health. People often hear about miracle babies who, despite being born prematurely and at an extremely low birth weight, overcome the odds to survive. In fact, negative outcomes are very likely among infants born before 23 weeks, the point of viability. The mortality rate is greater than 50 percent, and they have a 70 to 90 percent likelihood of experiencing major complications, like cerebral palsy, mental impairment and blindness. Because survival rates are higher, there are now more children with health problems like these than there were a decade ago. 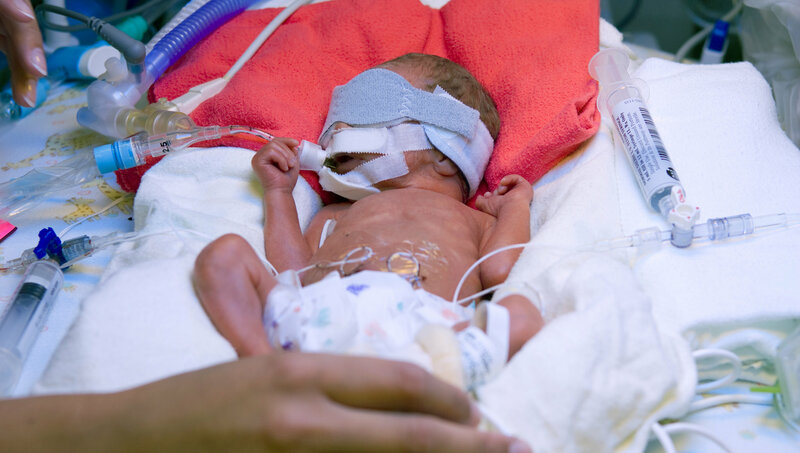 Even if extremely premature babies survive their time in the incubator, they may have lifelong impairments or conditions that require support, including physical therapy, occupational therapy and speech therapy. An infant nurtured in an artificial womb would not be comparable to “the healthy, happy fetus in the womb,” Dr. Flake said, but rather the extremely premature infant born today and sustained using existing incubator technology, which often results in life-threatening complications. Right now, 23 weeks is the magic milestone: Infants born after that point have a good chance of survival, while those born before 22 to 23 weeks have shorter, though not insignificant odds, said Dr. James Fritzell Jr., the clinical director of the Small Baby Program at Miller Children’s & Women’s Hospital in Long Beach, Calif. Extremely premature infants face an uphill battle as they adjust to life outside the uterus, including undeveloped lungs, specific nutritional needs (they can require 30 to 50 percent more calories for growth and development than full-term infants), neurodevelopmental challenges and a constant risk of infection. Ideally, an artificial womb could address all of those complications and more by providing a controlled environment to minimize energy loss and support growth, limiting exposure to bacteria and fungi and minimizing infection risks, Dr. Fritzell said. In addition to all the internal complications that come with a premature birth, the infant’s skin is extremely fragile, tearing easily and causing rapid dehydration, said Trish Ringley, a neonatal intensive care nurse in San Luis Obispo, Calif.
Based on her 20 years of experience in the N.I.C.U., Ms. Ringley said that it might be difficult for parents — who currently can touch and interact with their premature babies to a certain extent, at least — to forgo those early days of bonding if the infants were placed in an artificial womb. Although it might be helpful for a baby’s physical development, it could “take an emotional toll on the parents, and possibly even the babies themselves,” she said. Multiple studies have shown interaction with parents brings improved development in premature infants, too. A baby in an artificial womb may not “benefit from the maternal influences of labor, placental influence of hormones and biochemical signals” that allow the fetus to sleep, grow and develop, said Dr. Sanjay Chawla, a neonatologist at Detroit Medical Center. Dr. Flake agreed that what the field did not need was another intervention for premature infants that creates more problems than it solves. “This system will either work and work very well, or I won’t apply it,” he said.